Many business card printing services charge an arm and a leg for logo-based business cards that are attractive and uniform. 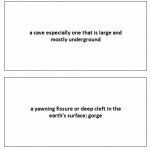 This Avery 8376 template allows anyone to create personalized professional business cards using the popular “Capsule” design Avery templates are famous for. What Are the Avery 8376 Template Business Card Specifics? This template creates a “tight” sheet of uniform business cards using paper or card stock. 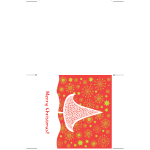 Each card measures 2” x 3.5” and prints 10 cards per standard page. 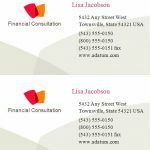 Using Microsoft Word 2003 commands, anyone can use the Avery business card template to create professional cards suitable for any purpose. There is no other more easy-to-use business card template available for free download than the Avery 8376 template. 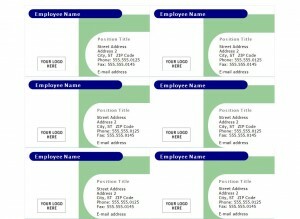 Each card has guided fields displaying an employee or business name in a customizable font and color. Within the capsule fields there is room for complete personal titles, addresses, contact information and other personal specifications. The lower left-hand field of the card is left open to importing personalized company logos. No business card is effective without worded and graphic descriptions of a business or personal service. This free, and readily downloaded Avery template contains all of the options needed to design and print exceptional business cards that are visually powerful and full of important information. Download the template for free using standard Microsoft Office software. The file size is only 19 KB and is fully compatible with Microsoft Word 2003 or later. The field specifications are laid out in traditional and familiar word processing format with tabulature, font and sizing options displayed at the top of each business card document. When a set of business cards is created from the Avery 8376 template, a print preview is offered before final production. This template creates a beautiful set of cards that are personalized and easy to separate. Above all, they are vastly more cost-effective than ordering cards from a printing service. The Avery 8376 template is a completely unique and easily-navigated model free for download, that is absolutely invaluable to business professionals and individuals with an advertising need. Click on the download command and create unique and professional business cards now!